I really like the combination of the colours on the Basic Grey Kioshi papers and for this card I chose to use 2 papers, one lighter and one darker. I like to add stitching and so I added a line all the way around the outside and a zigzag line between the two patterned papers. 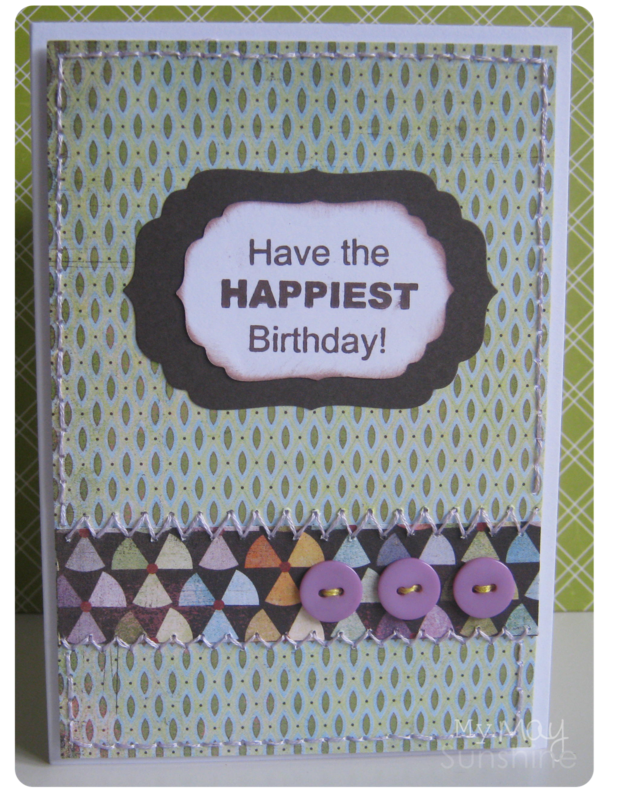 Adding some simple buttons and a sentiment makes it a simple card, just a bit time consuming with the stitching. Stamp – My Pink Stamper Fabulous phrases. Buttons – Local craft shop. Die – Spellbinders Nestabilities Label 4.